When needing care for a loved one at home, consider Sopris Home Care. They provided care for a loved one for me and the care provided was like it was their family member. Thank you so much. My family and I would like to express our gratitude for the help we received from the professional caregivers from Sopris Home Care. The ladies that came to help us were knowledgeable and well trained. Time after time the ladies showed us how compassionate and professional they were while caring for two of our family members. If one technique didn’t work, they took the time to include us in coming up with a solution to accomplish our goals by changing care plans as well as behavioral issues. The ladies of Sopris Home Care were respectful of our family’s need for private time and for our family religious traditions. Our family highly recommends Sopris Home Care if you want the best in caring for your family members. 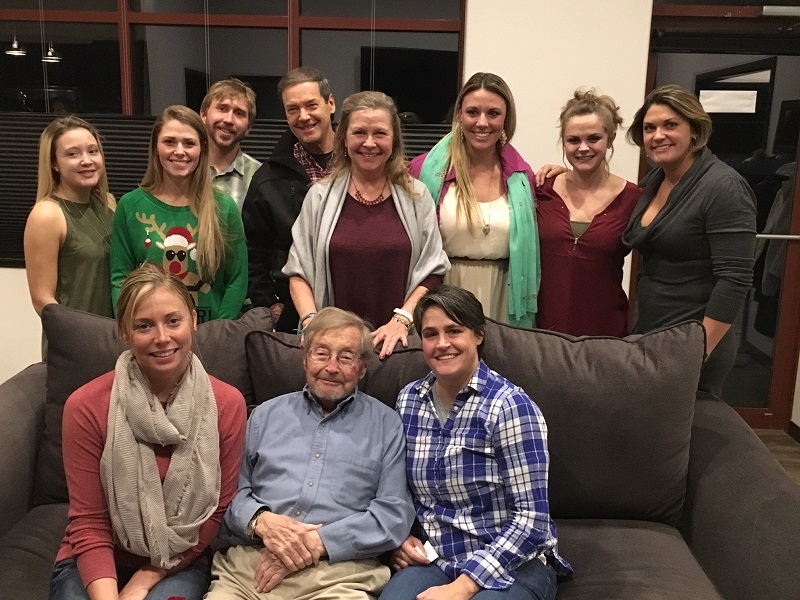 While assisting us daily for more than two years, the team at Sopris Home Care has often gone out of their way to be as helpful and supportive as possible in taking care of our family’s home care needs. Their caregivers work hard to get to know the particular needs of each client, and the office does a very professional job of maintaining a high level of service and responding to the changing requirements of both the client and their family. Thank you. Sopris Home Care did such an exceptional job to support our family during my mom’s final year of life. The girls who helped us were thorough in their care and had lively personalities which kept it fun for mom. Amber, the owner of the company, often stopped by as well to see if anything else might be needed. She often went above and beyond, helping with laundry or preparing dinner. While mom lived in our home and we were still working, Sopris Home Care provided the security and ease to be able to maintain some normality to our days. I never worried that mom was not being cared for perfectly and she always seemed happy when we returned home at the end of the day. Notes were available for us to be assured that her meds had been taken; her tasks had been recorded, and her daily activities were fulfilled. Thank you all!! Three years after Dad passed away, our mom's health started to deteriorate. My brother and I and our wives were providing more and more care for our mom. Even though she lived close to us, we still felt the responsibility was growing faster than we could handle. We began to notice her anxiety level increased as we said good night for the evening. There were many nights she called because she needed something but when we arrived, she just wanted to see us again. Her verbal communication began to deteriorate making it more difficult to know just what she needed. The four of us began to become more concerned about how Mom was doing at night. In addition, we were fearful on how she would be each morning. Mom had always been a very capable and independent person. We realized she needed more help on a daily basis than we could provide. It was a hard decision for all of us, especially for Mom, to consider allowing other people to come into her home and help her with day-to-day chores, meals and be with her during the night. We contacted Sopris Home Care to discuss these arrangements. We found Amber to be very compassionate and understanding toward our situation. She was informative and knowledgeable of what would be helpful to Mom and us. We felt confident beginning this relationship with her and her staff. Mom settled in very well having additional help around the house. We could tell her stress and anxiety level subsided greatly. She even looked forward to the ladies arriving. The ladies helped mom with dinner and getting her ready for bed. They spent the night with her and helped prepare breakfast. This arrangement became very good for Mom and the family. Mom was no longer alone and had very capable people to help her. The ladies from Sopris Home Care took over the caregiving for Mom. As a result, the family could spend more time visiting with her. We spent less time worrying about her needs around the house. When the inevitable time came that Mom's passing was imminent, we needed 24 hour-a-day care. Sopris Home Care provided the service immediately. They stayed with mom throughout this time. It was quite comforting for the family to have received the guidance and expertise. By this time, the ladies from Sopris Home Care had become like family and we relied on them a great deal. We are very grateful for the amazing service we received from Sopris Home Care. We only hope they would be available if another member of our family needs them. There are times when our residents need more care than can be provided in an assisted living setting. Sopris Home Care has been instrumental in helping us keep our residents in their homes. All of the staff that come to help take care of our residents have been compassionate, friendly, and willing to go the extra mile! We have had emergency situations when we needed help immediately and Amber and her staff have quickly sent people in to help. I always recommend Sopris Home Care to people looking for the added help in their daily lives. Amber DeLuca (Sherman) has contributed in immeasurable ways since 2007 to the care of my elderly mother, who is now in the final stages of Alzheimer's disease. Unlike so many others, my mother has been calm and content throughout her progress through this awful disease, largely due to the care given to her by Amber and others of her treatment team. I am delighted that Amber has decided to take the next step in extending her care to others who need help in the latter stages of their lives. I wholeheartedly recommend her.